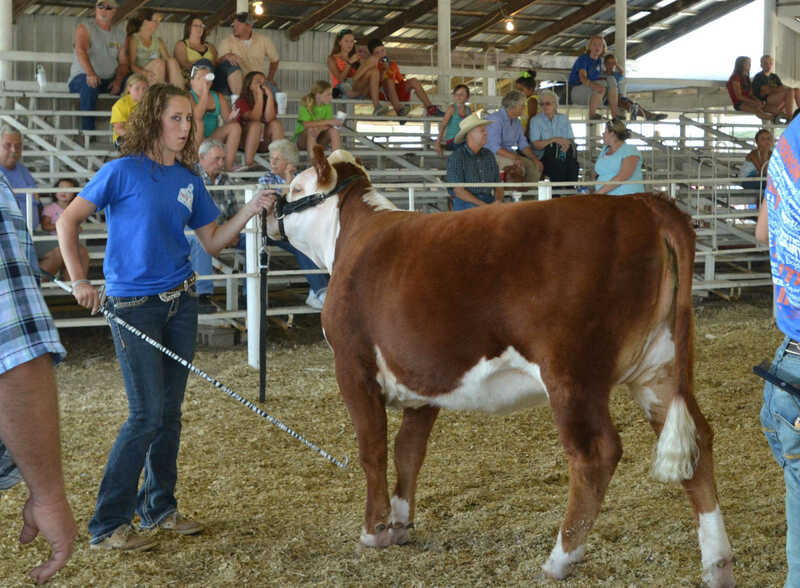 Hereford Jr. Heifer Champion Monica Gerken, of Nevada, shows her cow during the Beef Show on Friday. 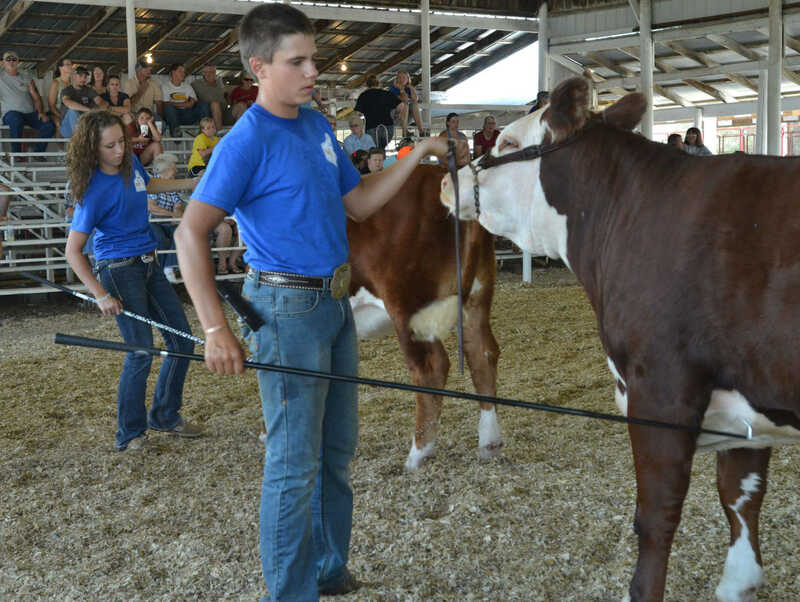 Hereford Sr. Heifer Champion Justin Hurst, of Nevada, looks over his cow during the Beef Show on Friday. 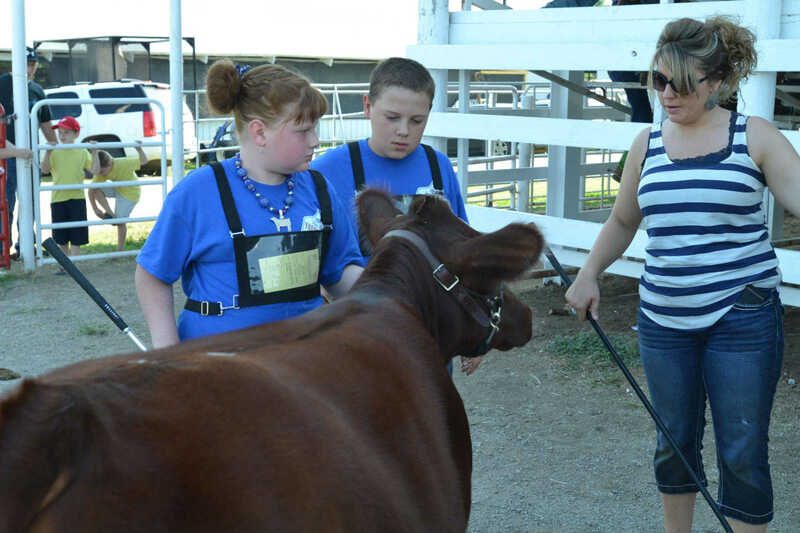 Morgan Compton, of Milo, Kara Comstock, of Deerfield, and Ethan Forkner, of Richards, parade cows in front of judge Clinton Medford on Friday. 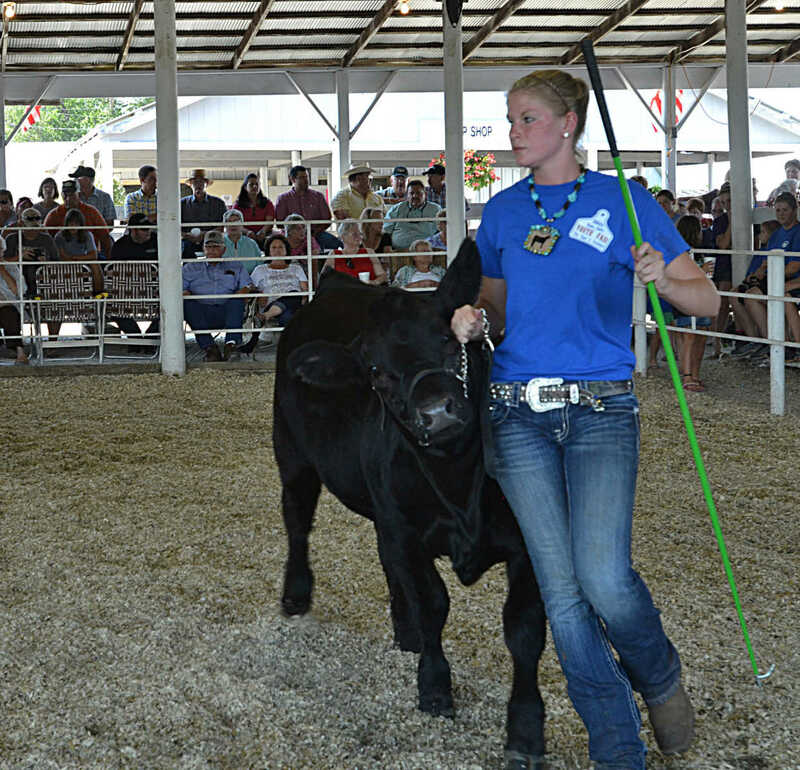 Morgan Compton, of Milo, pulls a Lim-Flex forward during the Beef Show on Friday. Justin Hurst, of Nevada, right, and Monica Gerken, of Nevada, present Herefords during the Beef Show on Friday. 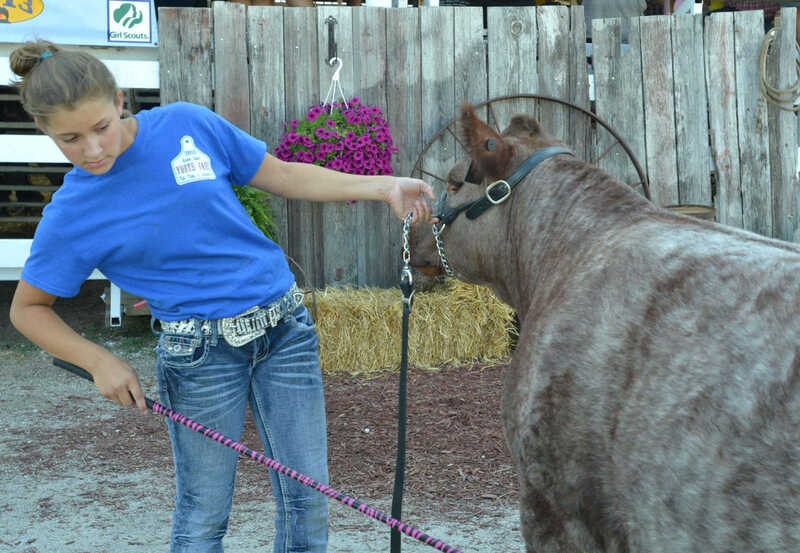 Klay Beisly, of Nevada, stands at rest with a Lim Flex during the Beef Show on Friday. 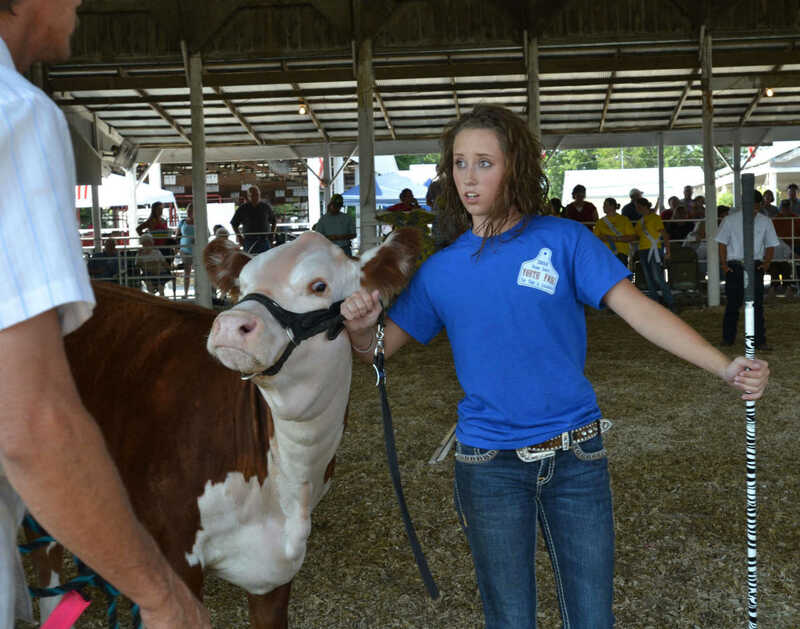 Makayla Haner, of Nevada, prepares her cow during the Beef Show on Friday. 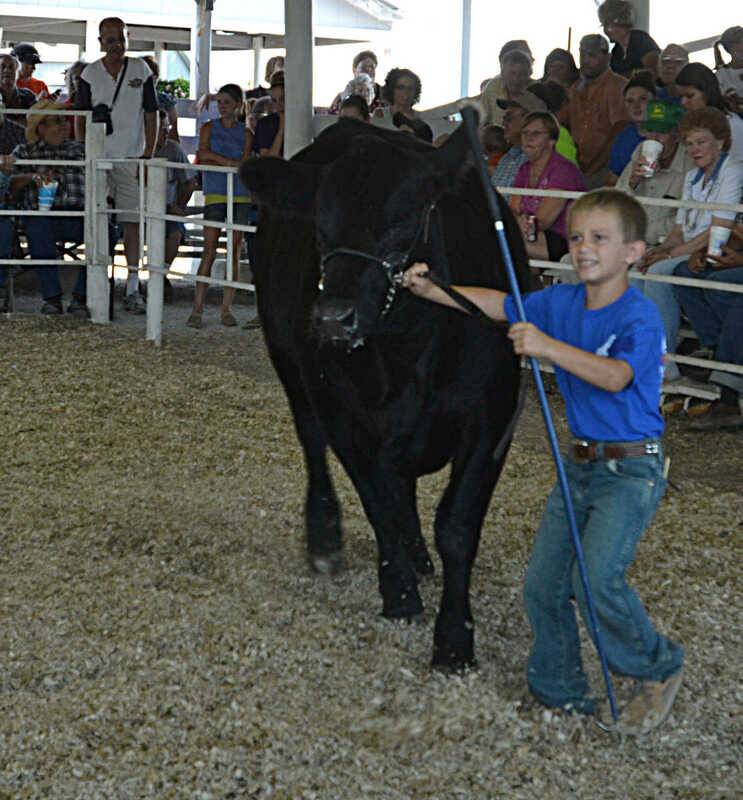 Kylee and Kaleb Vestal, of Nevada, left, get some tips during the Beef Show on Friday. 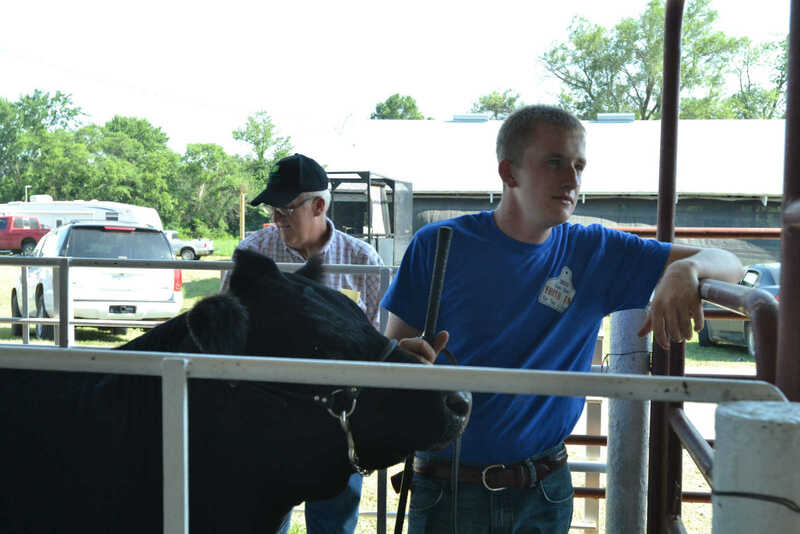 Broadie Green smiles as he shows a Lim-Flex during the Beef Show on Friday.